Posted on May 7, 2014 by Thorsten R.
A mission subsystem is being added. This allows to define tasks to be completed by a player which then receives points. Visual guidance symbols can be used to indicate the location of the next task. The mission system combines with the Milestone 4 release of the walker,and thus more complex adventures can be built in which the player has to exit an aircraft and walk to a certain location. The walker subsystem now allows for more complex animated motion and adds NPCs, characters with whom a player can interact. Also, check out the selection of cars and motorbikes to explore the Flightgear world! Cloud shadows are notoriously difficult to render, but for Advanced Weather in combination with the Atmospheric Light Scattering rendering framework, there is now an experimental option to add them (at least close to the aircraft) to the experience. See the world from high up! 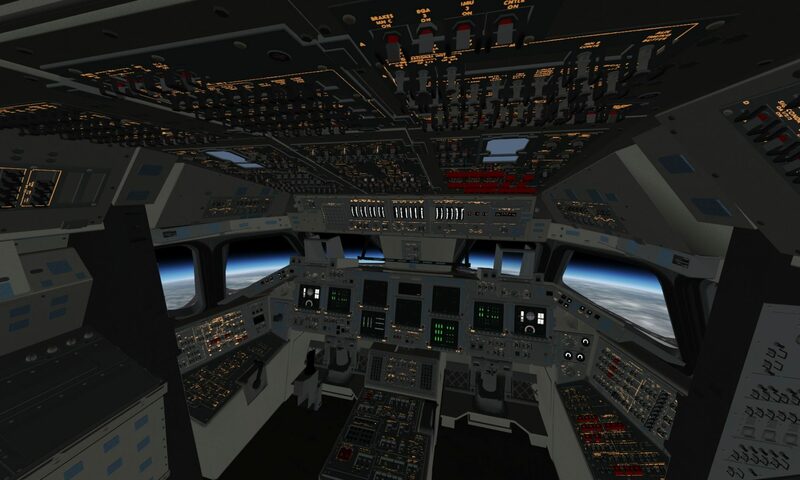 Introduced to provide better visuals for the spacecraft in Flightgear, Earthview is an alternative rendering engine intended for use at high altitudes. It renders Earth as a simple, textured sphere surrounded by a cloud sphere. The textures are provided by the NASA Visible Earth project. By default, a set of 2048×2048 textures is distributed, but Earthview is intended to allow easy access for users who want to install their own hires texture set. At full resolution of about 21000×21000 pixels per texture provided by NASA, it looks simply spectacular even from just 50 km altitude – see the Vostok capsule above entering the atmosphere. Access the property tree in a novel way! Flightgear now includes the Mongoose web server as a httpd. This allows for interesting new application, for instance merging information from Flightgear and OpenStreetMap or Mapquest, leading to a new moving map application covering the whole world is available which tracks the airplane’s position. See clouds out to the horizon! 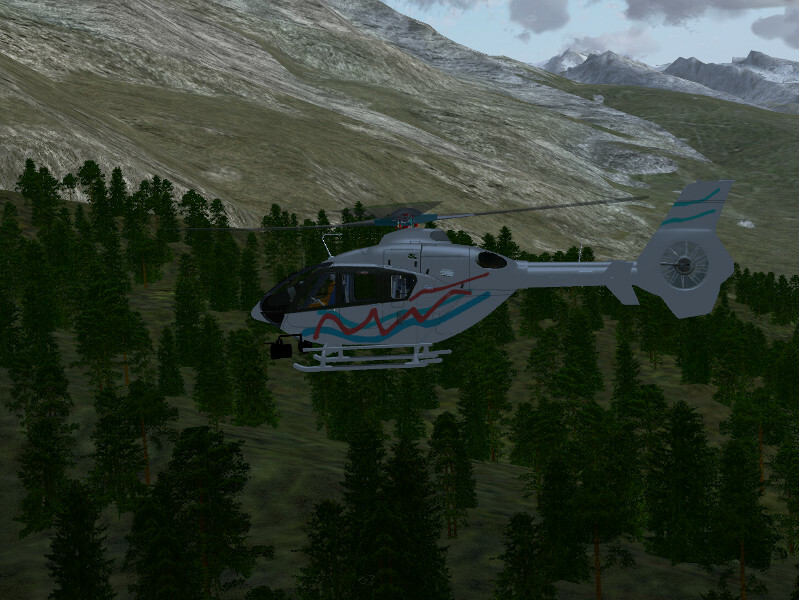 Flightgear’s weather rendering so far has not been up to the task of showing a plausible view from high altitude. 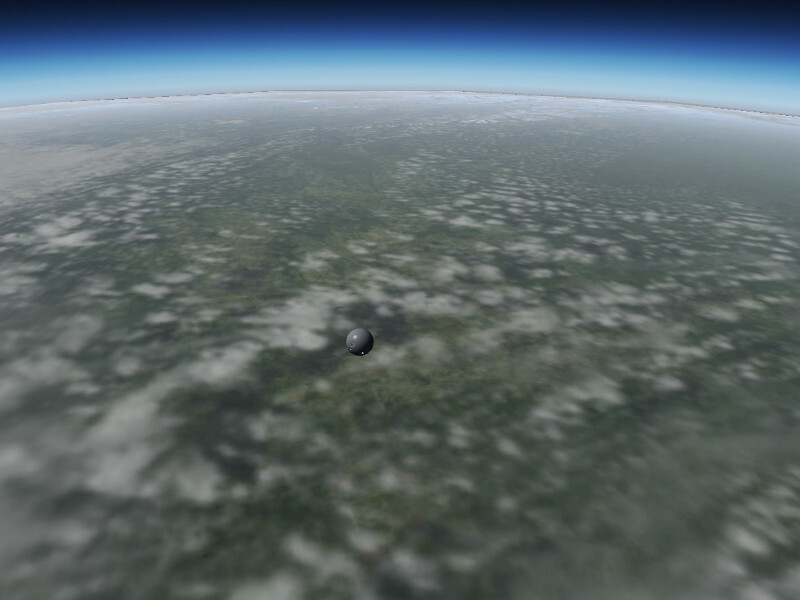 But this has now changed – a new framerate-friendly impostor technique is used to render clouds out to the horizon – wherever that may be (the system has been tested for 1000 km visibility from low Earth orbit). Lots of work has been done on the small details. New tree textures at higher resolutions make the forests actually look nice. Novel noise function are used to improve the visuals of snow on steep terrain slopes, to change tree height in discrete patches mimicking patterns of forest management, or to remove tiling artifacts from large-scale agriculture. Enjoy all the details the new version will have to offer. Stay tuned as we fly towards our next release! I played this game/simulator on my macbook air when i was running mavericks and it was absolutely amazing, very low framerate but still good game. Now I have baught a much much more powerful and capable imac but it runs osx yosemite, there fore not allowing me to run this simulator. If there was to be a yosemite compatible release by christmas it would be absolutely amazing, because my child wants to become a pilot and i have told him about this, he seemed very intrigued by the idea, so I am buying him the same computer and if there is not a release of this before christmas, Ill probably have to pay for something anywhere near this standard. All versions cannot be used on OS Mac system!!!! How Come!!!!!!!!!!! What happened??????? anyway keep up the good work guys ! A few years ago I bought the DVD version of “Real World Flight simulator Pro” (files were dated 2010). I loaded it and played for a while but ran into too many problems so I stopped. Now, about 4 years later, I downloaded Ver. 3.00 and what a difference!! You all have done a great job and I totally enjoy it now. As with all other things, I would like to make a contribution and perhaps do some design or programming work. I had been a programmer in the past and also worked with 3D Studio so I do know a little about that. What is the program or language that are used for the aircraft and scenery and where do the aircraft designers get the info on the aircraft design, instrumentation and flight instructions? I’d really like to investigate & see if it’s something that I could do. Walker feature & Earthview for high altitude space viewing looks extremely awesome and, furthermore, makes me want to spend some time aiding the development! You guys really completed some awe inspiring strides within the past months! FlightGear 3.2 is apparently delayed. A status message on FG’s main webpage explaining the delay would be nice. Love FG! Keep up the great work. When will Flightgear 3.2 be released? Just wondering if you could add support or even a separate download file for FlightGear 3.0+ for OS X Yosemite. 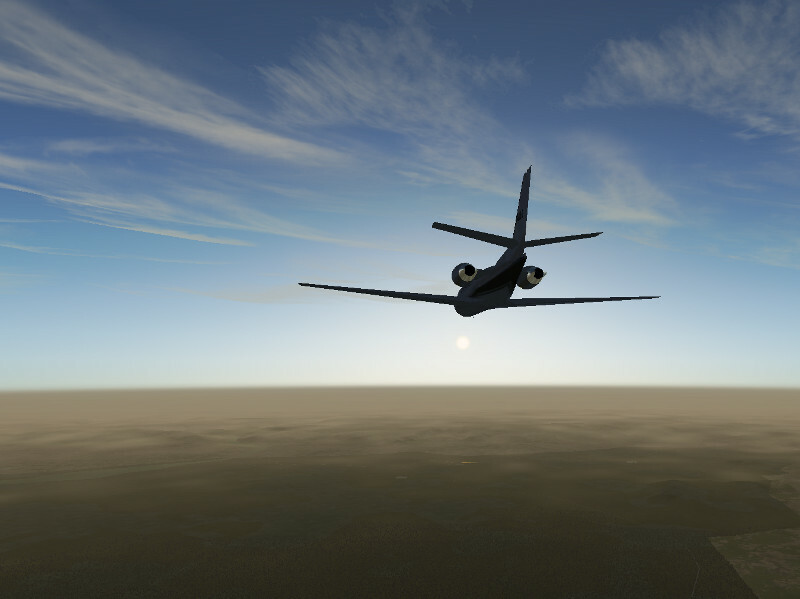 After I installed Mavericks, I could only run FlightGear 2.12, which was actually not bad. However, with all these new features in FlightGear 3.2, I am starting to feel the urge to install the 3.0+ versions, which cannot be run on Yosemite as of yet. As a matter of fact, with the version that I currently have (FlightGear 2.12), my operating system OS X Yosemite doesn’t even allow me to run that! It has something to do with a change in the Ruby-Cocoa Framework as I am told. Would be a great help and favour if you guys could produce something for these new OS for Mac. made the mistake of upgrading to os Mavericks (10.9.4) and since FG 3.0 only supports up to 10.8 I’m now out of the frame !! any chance this may be rectified soon ? I am in your same situation, except i am an update ahead. I have been using FlightGear 2.4 on Mavericks, and now that i have updated to Yosemite Beta, i cannot even use FlightGear 2.4. It seems every update of mac takes you down an update of the app. Is there a way to activate runway lights for night operations? Attempting a night landing without any lights is a little rough on the gear. If the airport has runway lighting, FG would show it – this appears to be a bug. Can you report this with more details in the forum and/or the bug tracker? We have at least a 707, a Harrier, a SU-27 and an F-16 in the aircraft list. for the next release i suggest to improve the weather with stormy clouds and turbulence based on metar. also i suggest to implement airport services!! Alas, METAR does not report turbulence (much less aloft turbulence) – so it’s quite impossible to model turbulence based on METAR directly. Advanced Weather however tries to gain an understanding of the reported weather situation and models turbulence based on this already (an unstable convective layer with strong winds will usually be turbulent for instance). I have to confess I’m at a loss what ‘stormy clouds’ are. Even a hurricane is in essence a Nimbostratus layer with lots of rainfall. Clouds never move with respect to the airmass they are in, they just move very fast with respect to the ground in such a storm, but for that reason, there are no special ‘stormy clouds’. Unless you mean the Cb towers in a thunderstorm, and we have those modeled already. Since what you’d hear and see would depend on what airplane you are in, such effects would need to be implemented airplane-side. A few people have started on adding rain sounds to airplanes. Hi, question: is there a simple solution how to synchronize weather in between multiple instances of FlightGear? I mean: can the master FlightGear provide information about cloud possition, rain, wind, etc. to other instances of FlightGear which are connected in the network and serves as rendering engines for other monitors? Or, can I set a weather server which will distribute all necesary information to all instances? Now, It looks strange when I have storm on two front monitors and clear, sunny day on other two. Also when I set the same parameters into two instances of FG program then the clouds does not properly continue in between of the monitors. If I ask something which is described somewhere, please, direct me to a manual. In general, no. The data volume that needs to be transferred would be staggering – at any given moment on a summer day, there are easily O(10.000) clouds in the scene – each of them characterized by type of texture, size and position. The MP protocol usually used to communicate between different FG instances has way not enough bandwidth to transmit that. Theoretically, a solution in which a pseudo-random number generator is used with the seed synchronized between sessions and which is _exclusively_ used by the weather system would set up the same scene on all machines if they all refer to the same aircraft position. However, so far there’s no volunteer to implement this for Advanced Weather. I vaguely remember that Basic Weather has been used to synchronize visuals across different monitors by some people – maybe that would be worth looking into? Good work, FlightGear team! I can’t wait to try it! Wow, this will be a very nice release. Please add OSX Yosemite support to your todolist. The Rubycocoa-Framework is no longer supported/installed and Flightgear will not even start without it. I would like to thank all the people who have put time into this wonderful project to make it what it is today. 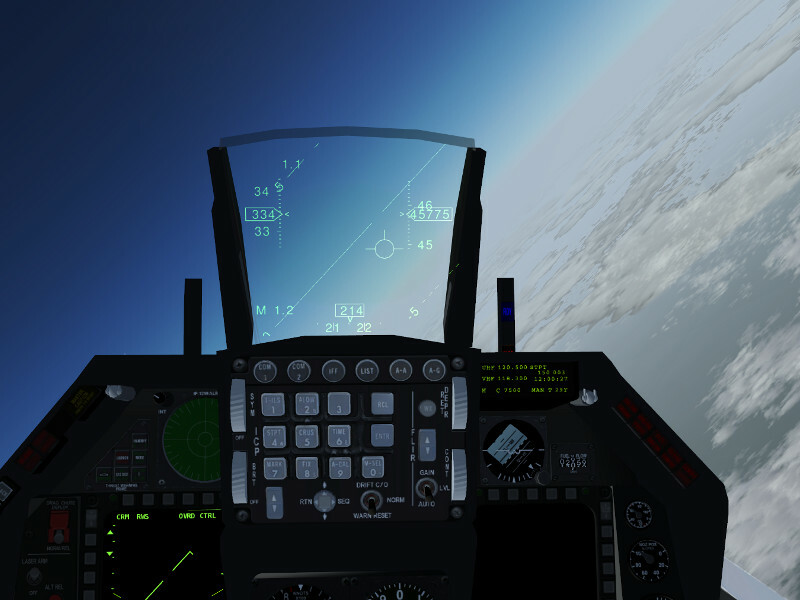 As far as I know, FlightGear is the only GOOD, free, open-source flight simulator. Hello, & thanks for your good program. I have a question: my teacher ask me for SILS (software in the loop simulation) to connect between C code & Flightgear(your program) . I don’t know what to do. please help me…. Thanks for the continued work on this project! 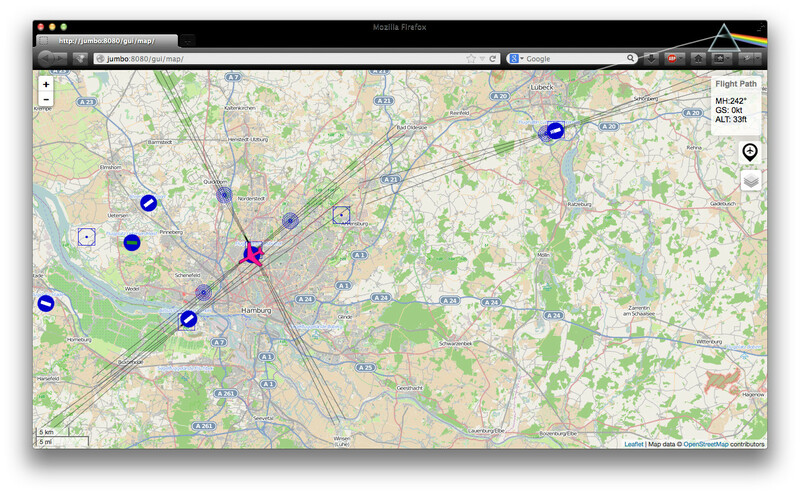 I am assuming the Mongoose web server / map integration is only working with mapping sites with API’s, correct? If not, could it conceivably be connected to Skyvector.com? flightgear is very good now . I think the makers of Microsoft FS and FlightGear should work together to make a simulator that will blow people’s brains out. Also I think flight simulators should include the whole set of controls on the plane like fire tests and stuff and last, seatbelt features to be extra realistic. These are just somethings I think should be on the simulator. 😀 Flight Gear is awesome. And why doesn’t all of the flight computers work? FG has been an awesome achievement for quite a while thanks to many talented, skilled & dedicated people. I really am looking forward to the Google Earth scenery integration project, as for casual use, and for my boys, it would be fun to see actual imagery. But that is not to diminish the great work in the existing scenery, it is truly amazing work! If it exists I can’t find it, but one thing that makes some videos of other sims look more “realistic” to me is the moving ground traffic. I don’t find that anywhere in FlightGear, but I may not have found it yet. Small thing, but coupled with scenery this breathes life into it for casual users. I just wanted to give a little encouragement after reading some of the negative remarks. Thank you so much for the time that is poured into this project, and for sharing it freely. Wow FlightGear 3.2 looks to be a great SIM! Another fantastic step sideways. 17 years later and there are already two complete aircraft models in the program. Why bother with completing airplanes, or fixing the VASI at KSFO which is used for the manual tutorial. Let’s make little men walk, preferably on the Moon. While you’re at it maybe add 10 or 20 more half finished aircraft models. Seriously, why don’t you fix what’s been broken and complained about for years, FIRST. Well, seriously, how are we supposed to fix bugs when they’re not reported to the right channels (in this case the scenery team)? It’s the first time I hear about VASI at KSFO. There’s a scenery build scheduled later this year, that’s the time to get the correction in. As for aircraft completeness, a simulation is never complete. It just gets closer and closer. Different aircraft maintainers have different aims – some want to create something that is easy to fly and looks good, others delight in implementing all real-life procedures. From the point of view of sim development, FG is just a platform in which you can simulate aircraft, and aircraft maintainers aren’t forced to a particular goal by the project. I guess all in all you’re confusing FG with a commercial project in which someone needs to judge your complaints automatically relevant because you paid for it. Different people simply have different ideas on what’s important, and in this case they happen to differ from yours. This is an open-source project. The developers do not work for you! They have made this flight simulator in their spare time for no money, and you should thank them for it instead of complaining about it. FG was the original FS for Linux. Yes, I know the Linux Legion is fragmented, opinionated and generally fascinating. It would be nice to have a “regroup”; I see some developer activity here… 🙂 and ensire that the core program is fully evaluated by the Debian based (Ubuntu specifically, and the LTS versions explicitly) community, developers and testers (moreso over the Win and MAC, Mobile and other OS users who have a plethora of sims to fly). An additional humble request on this regrouping would be to the independant developers of the associated GUI programs, to update, correct and validate their integration into this, the latest FG release. Finallt, a big thank you to all, and Happy Flying! 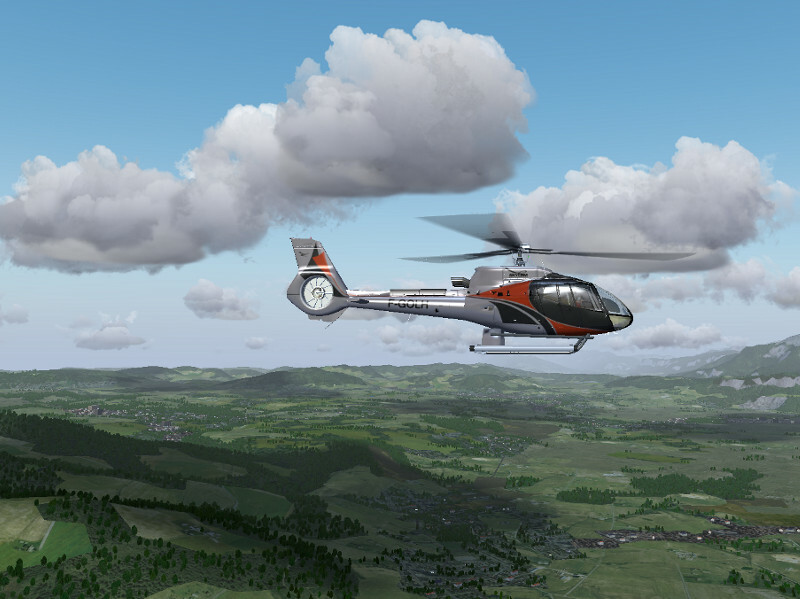 What is the helicopter in the cloud shadow screenshot? AI traffic with all available liveries is going to blow your system memory… I’m not sure you really want that. There’s a whole lot of liveries available. It’s easy to convert from video tape to blueray. Converting FSX planes to FG ones is more akin to converting a movie on DVD to a live theater play. FlightGear already blows memory. The project is not been correctly supervised, so a lot of code can get in, making it consume 8 GB of RAM which is just ridiculous. A correct statement would rather be that FG allows the user to choose scenery, LOD ranges, visibility settings and object layer overlays which use lots of memory. Which is desirable for users which have the memory available, but not if the memory is not there. However, choosing the less detailed scenery, no object overlays and less ambitious LOD ranges, FG is known to consume less than 2 GB of memory. Basically, maxing out all the options on a lower end system is asking for trouble, but I fail to see that FG would necessarily consume 8 GB independent of user settings. These tests have been made. In any case, 3.2 will be somewhat more resource friendly. Cant wait to test this version out. Many thanks and well done. I think bug fixes are essential. The current version is crashing quite often. But every time I’m using the reporting functionality, so there should be quite some amount of bug reports available. The automatic bug report feature is sort of experimental, so don’t rely on it :-/ We’ve had lots of ‘out of memory’ related crashes reported which could be traced back to the 2.0 scenery – which is more resource-demanding than the old world scenery. There are things in motion (e.g. a LOD system for terrain), but it will be a while till they will appear in a release. If something is not related to memory, you probably need to get in touch via the bug tracker and supply additional info. Personally I prefere a simulation like now, not a game you have to unlock planes/airports/etc, there are lots of such games, in FG the spirit is to learn, train, explore. But, related to that, there is a feature I thought to suggest, a personal log with statistics: total and per aircraft hours/miles of flight, number of takeoff/landing, day/night, kind of weather, and things like that. Some work on the Blender ac3d plugin would be nice. Surely FG supporting another 3d format would fall under development. I don’t think FG has native code for model loading/rendering, that is all done by OpenSceneGraph, so your request should be directed there. Interesting. What version of Openscenegraph is FG3.x built against? I’m having troubles to export sketchup to ac3d. That’s why Dubai Airport is stopped. I think that the use of a payware to develop a free simulator sounds like a non-sense. I think that there could be much more developper with the use of free 3d format. I get to hear plenty of assertions ‘If only feature X were there, there’d be much more people developing.’ Past experience of trying to implement feature X has shown that in the vast majority of cases, this turns out to be false. Fact is that many people develop for FG using blender (which is free) just fine. So I don’t see why the situation would be dramatically improved if a native blender format could be used rather than the ac3d exporter for it (which is also free). I’m missing the satellite/orthophoto scenery overlay option. It was promised autumn 2013, didn’t make it to FG 3.0 and was never mentioned again ever since …. Btw – the wording in the last preview with regard to osgEarth was ‘might make it into the 3.0 release’ – that’s slightly different from ‘was promised’. People are working on it, it seems to be a bit more complicated than expected. The new features mentioned are simply amazing, I believe powerful brains are behind them. Again: THANKS to all developers and contributors for this beautiful portal to a fascinating virtual reality. The social aspect is quite there already IMHO, even without the mission/gaming dimension. Well done! It’s always exciting with every new version. If there’s a bug in fgcom, it won’t be fixed unless people are aware of it, so I would suggest to file a bug report and be ready to supply additional info. 3.2 will be an FG release, not a World Scenery release (with 3.0, we made them coincide…), so there won’t be more roads. A problem is that they drive up the scenery vertex count to a point that even high end machines are getting bad framerate hits, so more roads require larger-scale architecture changes (a terrain LOD system). I’m hearing about framerate hits when the gui is visible for the first time, that sure sounds like a driver oddity, I have nothing like that on my system and I don’t know anyone who has. Again, unless a bug report is filed and sufficient info can be provided, chances of this being fixed by accident are low. Airplanes are really up to the individual maintainers – usually they do commit their work before a release. Ah – and I think we do have an A-10 (quite a good one at that), so I don’t really get that point. About the airplanes… these 4 (787, A-10, KC135, MPCarrier) don’t seem to be part of the default installation? I had to download them manually from this website. Ah well, that’s what you mean. There’s more than 2 GB of airplanes, it’s simply not feasible to include all of them in the base package. So yes, you have to pick the ones you like and download them extra, and that won’t change. When It Is Going To Release ?? That’s it? Pathetic.. I have to say. Also,a lot of work is made to improve the Yasim,what about JSBSim? That FDM doesn’t exist any more or what,not enough sophisticated for you? Really,really disappointing. FGSF more and more becomes just a show room ,less and less a proper simulator. An exercise in trolling? :-) But a fairly pathetic attempt at that – you could at least have tried to get your facts right and your argument straight. Fact #1: JSBSim is being developed continuously, YaSim has not been for a while, so it makes sense to mention it. You got it all upside down, there’s probably 5 times more work going into JSBSim. Fact #2: No, that’s not ‘it’ – that’s a preview of a collection of selected items (says so in the title), not a definite changelog or release note. Fallacy: How can FG possibly become less of a simulator when we add features to it? It’s not like there’d be someone removing quality of the simulation to make room for graphics or so. What can I say? Three mistakes in three lines of comments. I sometimes wonder what makes people like you post these things. David, if you want JSBSim to feature, then talk to the devs, or work on it yourself – there is nothing stopping you. This after all is a community driven project. I could also suggest that if you wish the community to treat you with respect that you consider communicating with them in a civilized manner, instead of blurting out that you think the work done is pathetic. Great job guys, been simmimg for 10 + years after ditching fsx trying xplane and not getting on with it came to flightgear and wow 🙂 you look like have a great team just wanted to throw some ideas at you based on what i think flight sim needs to revive the market. 2) What’s wrong with FG’s multiplayer mode? I don’t use it myself, but I’ve seen people doing refuel exercises, air combat exercises, carrier ops, V1 interception in WW-II warbirds and similar things. FGUK in particular hosts weekly MP events. 4) The devel community views FG primarily as simulator, not as game, so based on that perspective, there won’t be any things you have to ‘unlock’ in any way. In other words, missions is a subsystem for those users who want that kind of thing, but won’t be blocking other aspects of the sim. hi thanks for reply what i ment by the multiplayer side of things is simply a more out of the box solution as with the rise of social media and online gaming this would make the game alot more accesable to new players as opposed to having to install lots of 3rd party addons mumble and alike. the flight sim market seems fine if you have plenty of experiance but quite daunting to new players, i recently introduced someone i work on the ramp with to simming this is what i found. I once thought about creating a “game mode” to flightgear. Player would get credits from different missions provided by airports. Player would buy aircraft and fuel etc. Maybe with this walker-thing It’s time to start working with these ideas. Awesome! And all open source… I like it!